Amazon on Tuesday unveiled the latest member of its family of devices powered by its Alexa digital assistant—this one with a touchscreen. The new device called Echo Show steps up efforts by Amazon to be part of the connected home, and potentially create a market for a new kind of computing device. The new device will sell for $229 and ships starting June 28, according to Amazon's website. It will include the features of its other Echo devices along with video shown on a seven-inch touchscreen. 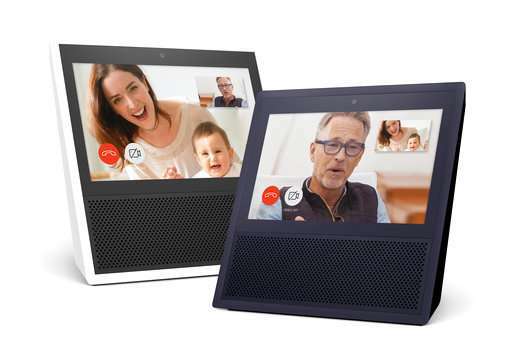 "With Echo Show, customers can watch video flash briefings and YouTube, and see music lyrics, smart home cameras, photos, weather forecasts, to-do and shopping lists, and more," said a blog post from Amazon developer anc chief evangelist for Echo devices David Isbitski. 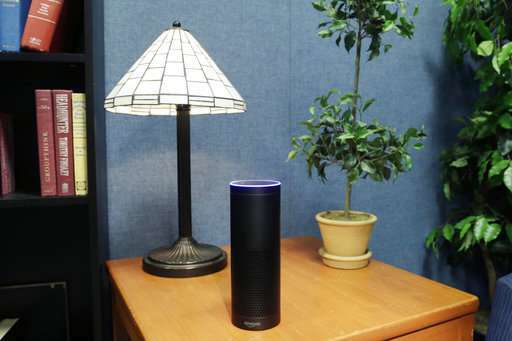 Users will also be able to call or message others who also have an Echo or the Alexa application. Last month the US online giant began selling its Echo Look gadget, which includes the voice-activated assistant but with a camera, allowing Alexa to offer fashion advice. Amazon's latest hardware foray comes after limited success with its Kindle and Fire tablets, but also a failure for its Fire smartphones. The new Echo Show "looks like a lot of other products that have been launched in the past," said analyst Avi Greengart of Current Analysis in a tweet. "Unlike those, it will sell." Ian Fogg of the research firm IHS Markit said on Twitter: "What's most interesting about #Echo Show is the extent it is different & enhanced from simply a combination of Echo + Fire tablet." Jan Dawson of Jackdaw Research said the new device adds additional features to the Alexa family by giving consumers a screen option. "I don't think all voice assistants need to have screens, but Amazon is wise to give people the option," Dawson said in a blog post. "What we're seeing is Amazon using its smart original foray into and early dominance of this space as a beachhead to spread into lots of other areas." But Dawson echoed comments made by other observers that the Echo Show "isn't attractive." "If there's one area where Amazon's various bits of hardware have always struggled, it's design," he said. "There's no real consistency or style, and as I said last week, this thing looks like a miniature version of one of those old massive tube TVs." Amazon has dominated the category of connected speakers since 2014 when it introduced its first Echo, which responds to voice commands and allows users to order goods or rides and control connected appliances. A survey released Monday by research firm eMarketer found Amazon's Echo speakers held 70.6 percent of the US market, compared with 23.8 percent for Google Home and 5.6 percent for others including Lenovo, LG, Harmon Kardon and Mattel. The report said 35.6 million Americans will use a voice-activated assistant device at least once a month this year, a jump of 128.9 percent over last year. 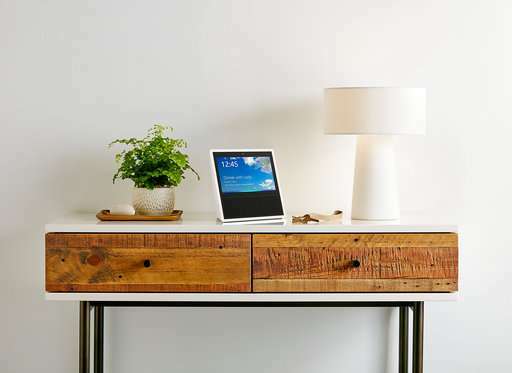 Separately Monday, Samsung-owned Harman Kardon announced the release of its new Invoke speaker powered by Microsoft's digital assistant Cortana and integrating Skype for making calls using the device. "The telescreen received and transmitted simultaneously. Any sound Winston made, above the level of a very low whisper, would be picked up by it; moreover, so long as he remained within the field of vision which the metal plaque commanded, he could be seen as well as heard. There was of course no way of knowing whether you were being watched at any given moment. How often, or on what system, the Thought Police plugged in on any individual wire was guesswork. It was even conceivable that they watched everybody all the time. But at any rate they could plug in your wire whenever the wanted to. You had to live- did live, from habit that became instinct- in the assumption that every sound you made was overheard, and, except in darkness, every movement scrutinized."